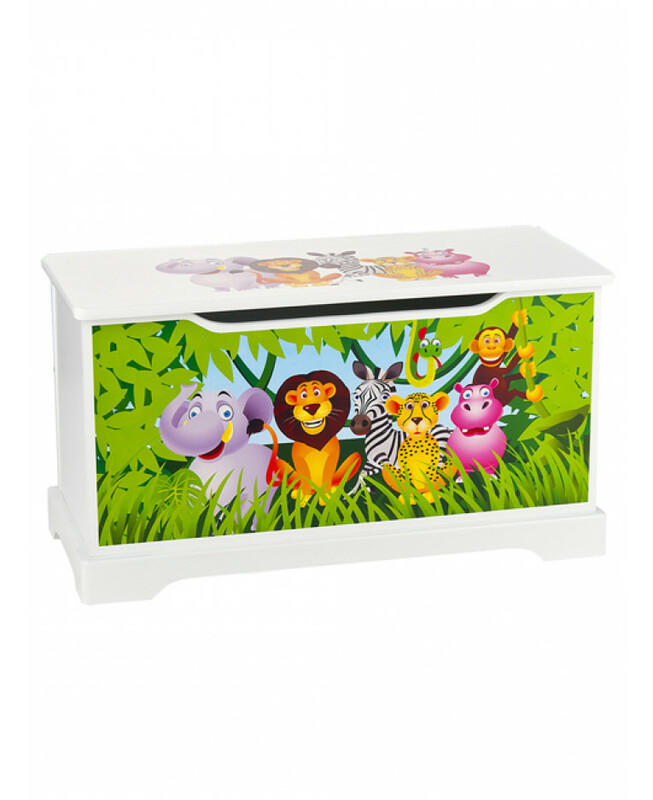 This sturdy toy box makes a fantastic addition to any bedroom or playroom. It is ideal for keeping toys, books and games neatly tidied away and can also be used to encourage little ones to tidy up after themselves. 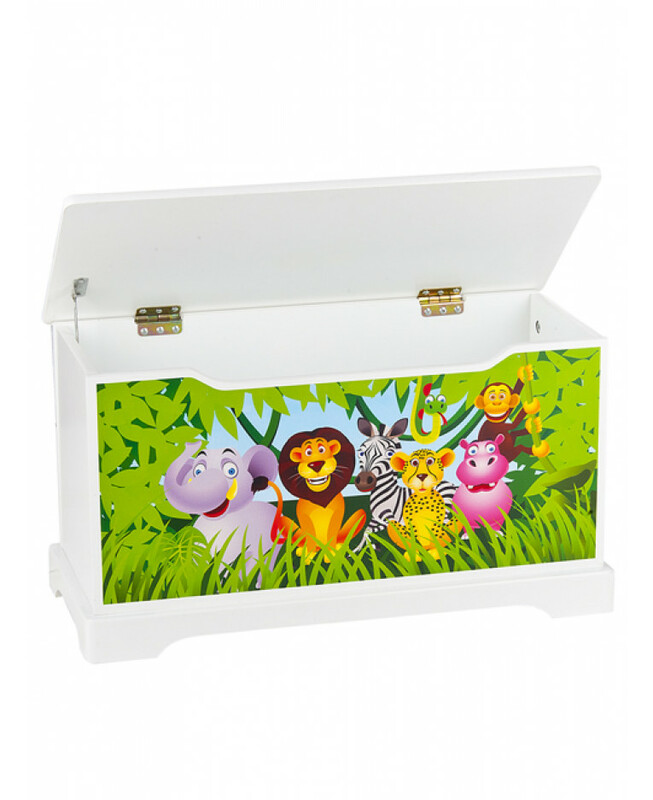 The toy box also features a safety mechanism which makes the lid very hard for children to close to ensure the lid does not fall onto children's fingers. 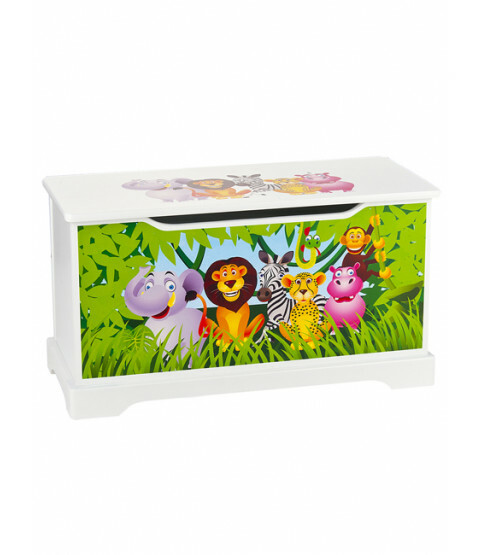 The toy box has a funjungle animal theme that includes a lion, elephant, snake, monkey and hippo which little ones will adore. Why not team the toy box up with the matching table and chairs available in the range.